Chuck Davis has led the African American Dance Ensemble for more than 30 years. Davis and his ensemble have performed across the country and around the world. He was named one of America’s 100 “irreplaceable dance treasures” by the Dance Heritage Coalition. Here in the Triangle, the American Dance Festival at Duke University in June dedicated its 82nd season to Davis, also known as “Baba Chuck. Chuck Davis, founder of the African American Dance Ensemble, has died. He was 80. 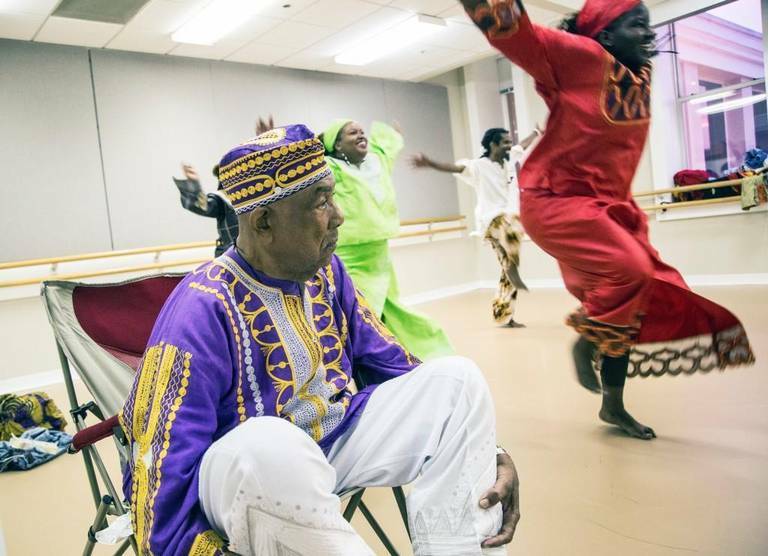 “It is with Great sadness, and with the utmost love and respect to the Dancer for Peace, that we announce the transitioning of the one and only, BABA CHARLES "CHUCK" DAVIS,” the African American Dance Ensemble posted on its Facebook back Sunday, May 14. Davis was one of the foremost teachers and choreographers of traditional African dance in America. He founded the Chuck Davis Dance Company in New York in 1968 and the African American Dance Ensemble in Durham in the 1980s. He traveled extensively to Africa to study traditional African dance.